In yet another turn of events, we are happy to announce our Tours & Rec Center is ready to reopen its doors, and we want you to be the first to join us back home. Thus, our first floor Tasting Room is ready to again host our Brewhouse One Series: Paw Paw's Got A Brand New Bag Bottle Release Party tonight. Our Beer Hall and its 24+ glorious taps will be open at 5pm today, so please feel free to come by anytime after 5pm! 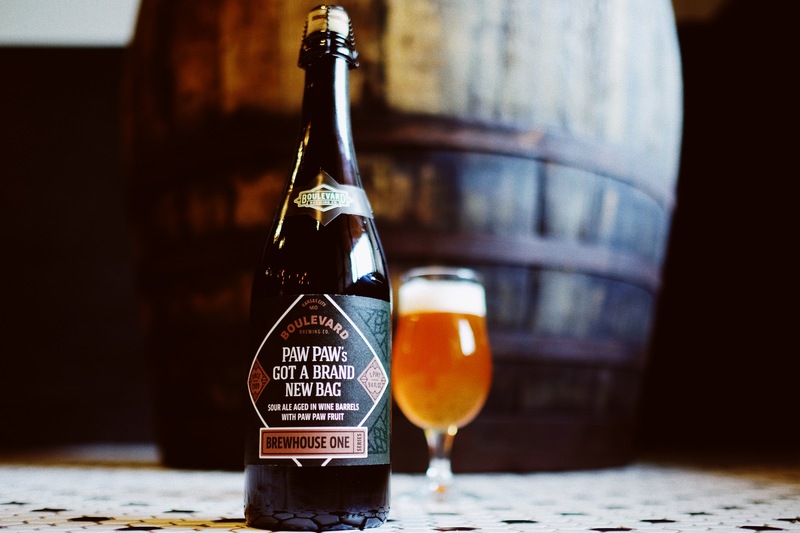 Our Gift Shop and the Beer Hall kitchen will remain closed today, but we will still have light snacks and (delicious) paw paw ice cream sandwiches available in the Tasting Room during the event, as well as bottles of Paw Paw's Got A Brand New Bag, and new Brewhouse One swag, available for purchase. The Release Party will still begin at 6:30pm, and we'll begin checking partygoers at our Welcome Desk when we open at 5pm. We can't thank you enough for your flexibility during this unpredictable week, and we can't wait to share some sour beer with you soon! We’ll host a Bottle Release party in our Tasting Room on Friday, July 20th at 6:30pm. Partygoers will enjoy a pour of the featured beer + a 750ml to take home, a brewers’ talk, light snacks, and paw paw ice cream sandwiches provided by our friends at Heirloom Bakery & Hearth and Betty Rae’s Ice Cream! They will also have the opportunity to purchase up to two more 750mls each. Our friends at The Giving Grove will be here to discuss their work improving local food security and strengthen communities by bringing together the resources to develop edible tree gardens. Tickets are $40 plus taxes & fees | 21+ | all sales final. Space is limited so grab your ticket before their gone!